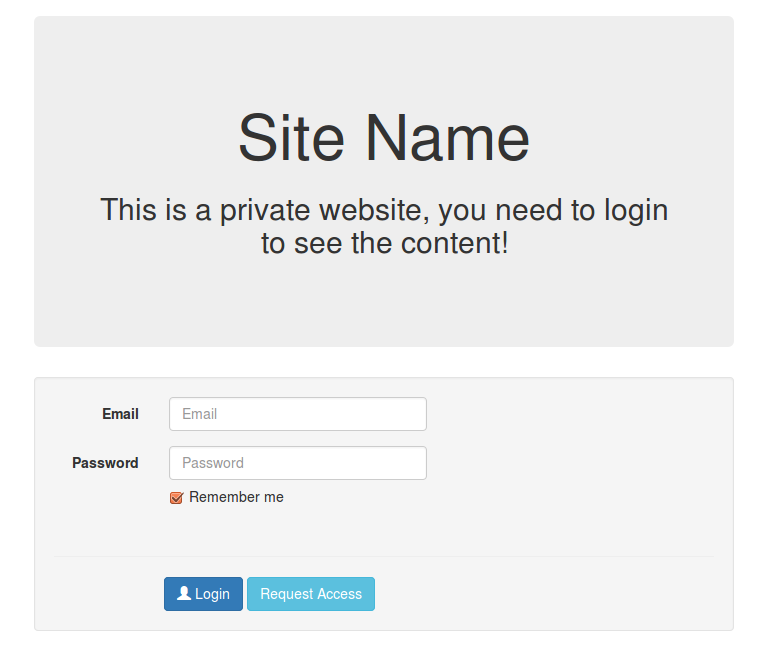 The “Private site” option could be useful in cases you want to share your website with only a few people. If you enable this option, then only registered users can access your website and only the administrator of the website can register new users! 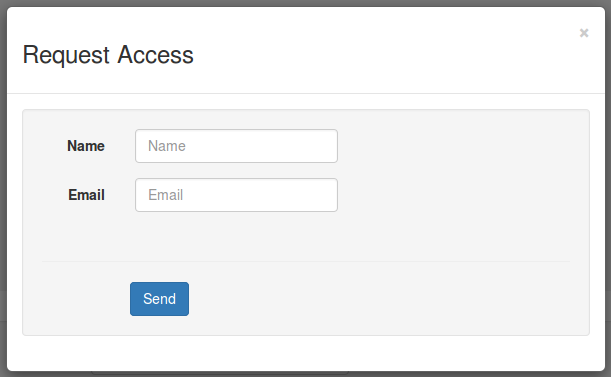 Registered users can login using the login form on the bottom of the page. Unregister users can request access to your site by clicking Request Access and filling the form with their Name and Email. An email with this information will be sent to the administrator in order to use it and create a new user (Panel -> Users -> Users -> New). The content of the page that is displayed to unregistered users is editable. You can create a new page through your panel. Go to Settings -> General, choose this page on Private Site landing page content and click Save.